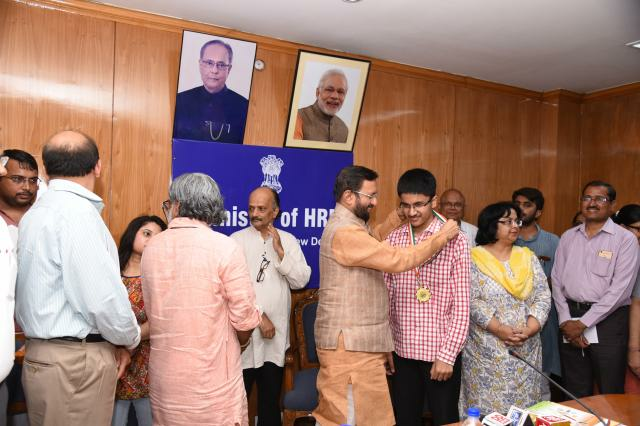 Pulkit Bansal of Class XII was announced the national level topper in the Vidyarthi Vigyan Manthan, organised by Vigyan Bharati, NCERT and Vigyan Prasar. 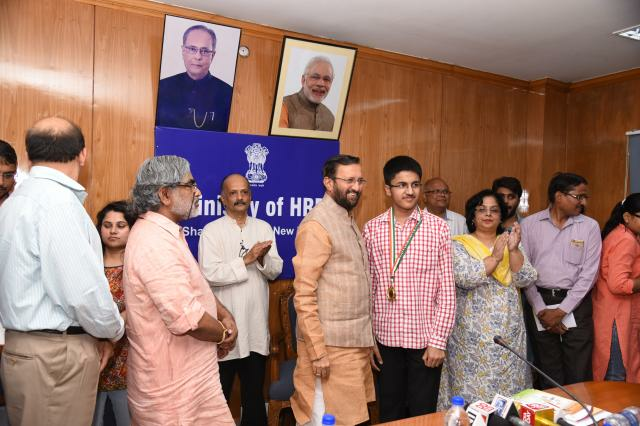 He received award from Sh Prakash Javdekar, Union Minister, MHRD and Dr Harsh Vardhan, minister at Ministry of Science & Technology, Ministry of Environment, Forest and Climate Change and Ministry of Earth Sciences. 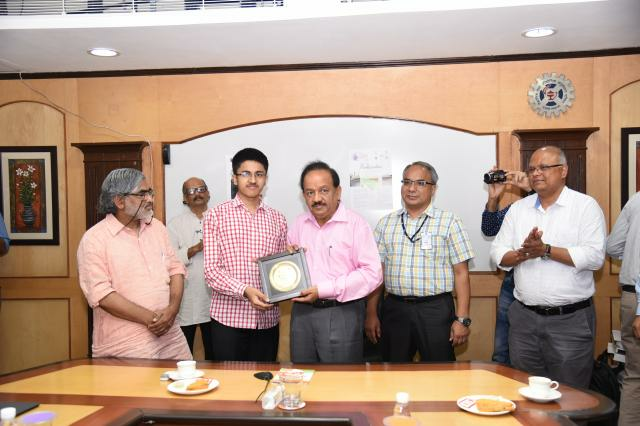 Vidyarthi Vigyan Manthan (VVM) is a national program for educating and popularizing science among school students with an aim to identify the bright minds among the student community. We are proud of Pulkit!